It was James Joyce the Irish novelist who wrote; “A man’s errors are his portals of discovery.” However errors when buying aluminium profiles and aluminium sheets online can be expensive and are best avoided! 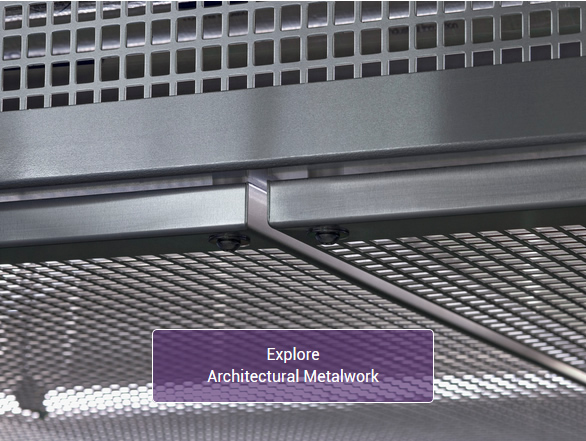 The intended use of the aluminium you are purchasing will determine to a large extent the importance of the care taken in making the right choices. 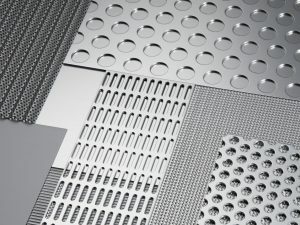 If the visual appearance of the aluminium is an important element in the decision making process, then please read on. There are several different factors to take into account, depending on the type of aluminium being purchased. 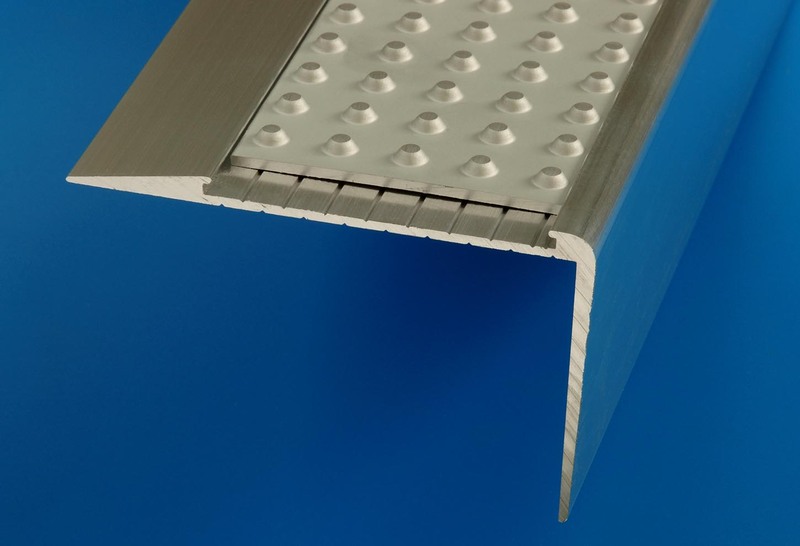 Aluminium angle, channel, flat bars, stair nosings, glazing channels, wallboard trims etc. 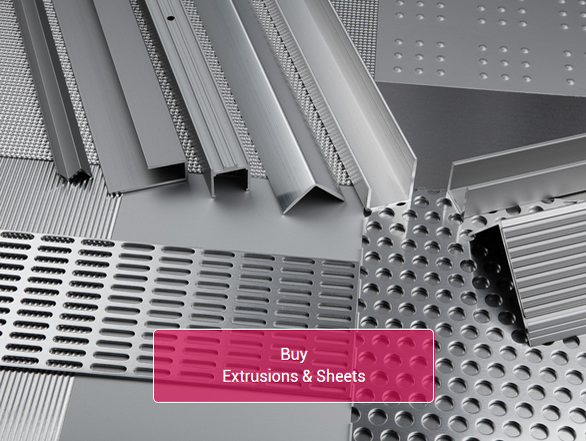 all come within the aluminium profiles and extrusions category. It is these aluminium products that we are discussing today. 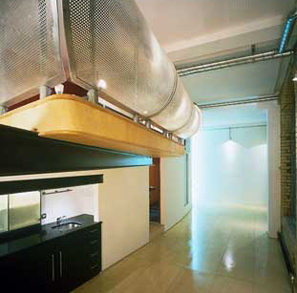 Here at Gooding Aluminium we specialise in supplying aluminium products for the architectural and interiors market. 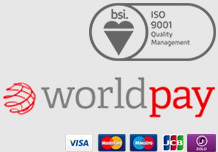 If your aluminium requirements include the look and feel of the metal then consider these points. 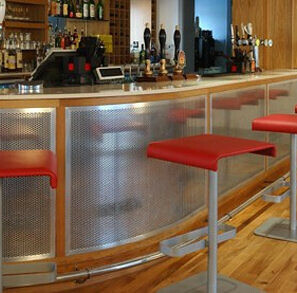 Aluminium installation must be planned carefully to minimise risk of damage during the fixing process. Contractors should be instructed to carry out spot checks on sheet products covered with protective film before working or fixing commences, to ensure surface finish suitability. The lightweight advantage of aluminium (34% that of steel) over other architectural materials, makes for ease of handling and fixing with a minimum number of operatives. When handling individual sheets or panels, care should be taken not to damage exposed edges or corners. Thin materials are particularly vulnerable. Aluminium items have a best and reverse face. Inspect closely and ensure the best face is fixed / positioned on the most visible side. Material flanges which are oversize must not be forced or hammered into position. Components requiring a reduction in size should ideally be returned to the factory for re-processing. When installing or working unprotected material surfaces, a low tack self adhesive tape or covering is to be applied to prevent surface marking. When site drilling is unavoidable, standard twist drills are satisfactory for most operations. 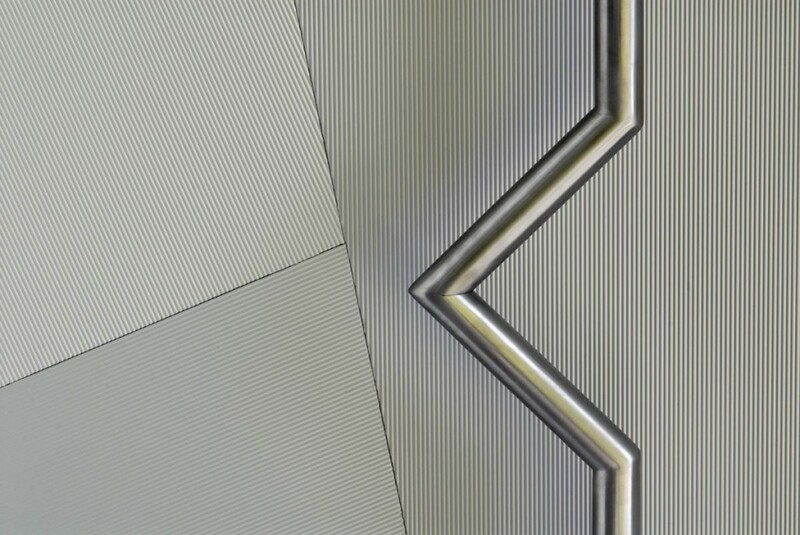 For deep holes, high speed drills or bits with a steeper point of angle should be used. Positions for drill holes should not be marked out along visible faces with a scored line. A pencil, or felt tip pen with removable ink or similar is to be used, which can be subsequently wiped off with a soft cloth. Cutting operations can be effected by semi high-speed and high-speed saws of between 150mm and 450mm diameter, with approximately 3 teeth per 25mm. Band saws and heavy duty woodworking machines are also suitable for light work. Blades used in hand saws should be of high speed type with fairly coarse teeth. After cutting, it is important that any swarf or chippings are removed from the product surface with extreme care, to avoid the possibility of scratching. These should be removed ideally with an air line or alternatively by lightly brushing away. Burrs can be removed by the use of long angle files with 14 to 20 single cut teeth per 25mm, for most fine work. Remove any grease, dirt deposits, finger marks, etc, from the material surface with non abrasive cleaning agents and materials, in accordance with the GA maintenance data sheet. 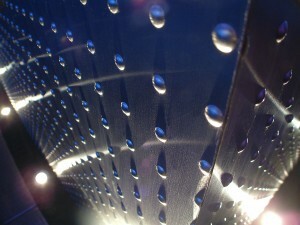 To find out more about aluminium installation, visit www.goodingalum.com and order online today.